Published on 13 January 2012. Thorpes, on Gosforth High Street, is one of those shops that looks as though it might just sell everything you’ve ever imagined. There aren’t many shops like it left these days… and it’s the only place I’ve seen 150w incandescent light bulbs in years! 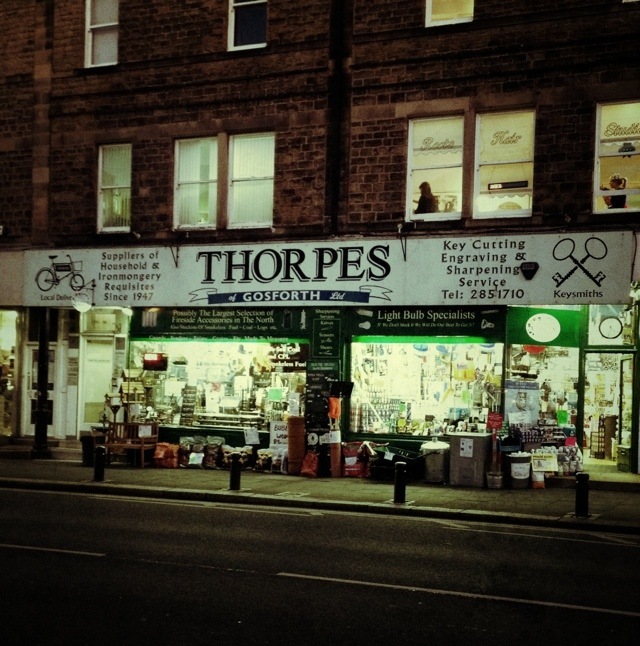 This 1,481st post was filed under: Photo-a-day 2012, Gosforth, Newcastle-upon-Tyne, Retail.